3rd May 2015 – The second edition of the IAAF World Relays lived up to expectations with host country Bahamas doing a great job to back up the successful 2014 event. 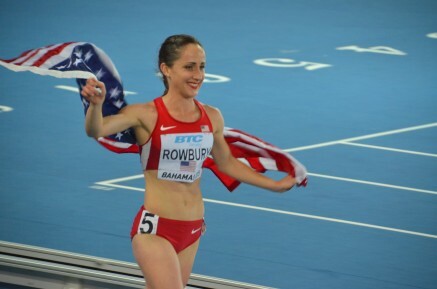 On day 1 Shannon Rowbury anchored USA to victory and a new world record in the women’s Distance Medley Relay. Shannon clocked a solo 4:27 for 1600m to help her team to a combined time of 10:36.50. Selah Busienei ran the opening 1200m leg for Kenya who finished 2nd in 10:43.35. Usain Bolt ran the fastest ever 4x100m anchor leg with a 8.65 secs split but was unable to catch the USA team who clocked an impressive 37.38 secs. Jamaica, with Kemar Bailey-Cole on the back straight placed 2nd in 37.68 secs. On day 2 Schillonie Calvert added another world gold to her collection running a strong third leg on the Jamaican 4x100m team who won in a world leading 42.14 secs. Jeremiah Mutai anchored Kenya to silver in the men’s 4x800m but the team were later disqualified for a baton change infringement.